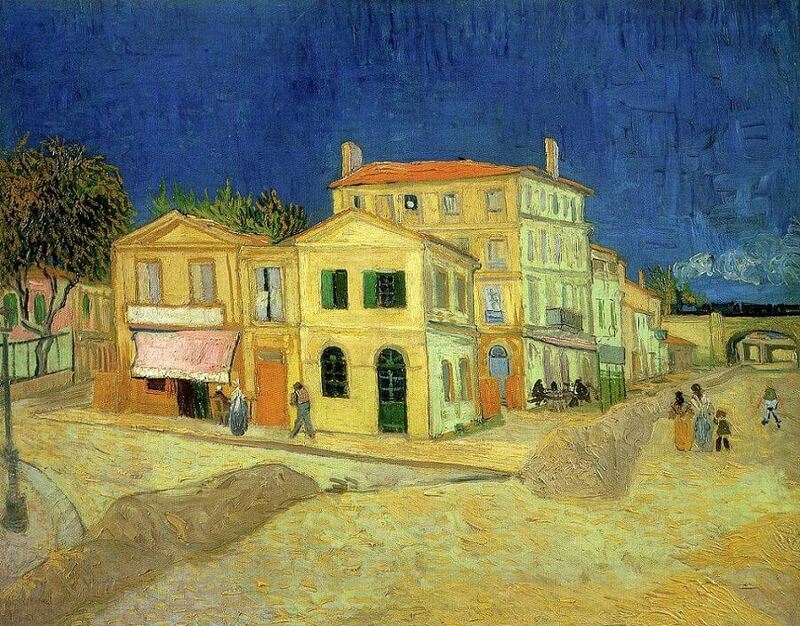 10 Facts You Don't Know About Vincent van Gogh's "Yellow House"
The yellow house is the one that Van Gogh was to share with Gauguin - but as it turned out, his dream of a studio in the south shared by like-minded painters lasted only two months. When he first got to Arles in February, he lived in rooms above a restaurant, but that didn't suit his vision of what his "studio of the south" would be. He moved to a second location because he thought he was being over-charged in the first one (went to court and won a refund), but kept looking for a more permanent home. Then in May, he rented the house. He wrote to Theo, triumphantly, "Well today I rented the right wing of this building (a sketch is enclosed) which is made up of four rooms or rather two with two closets. It is painted yellow outside, inside the walls are white lime-washed, facing the sunshine. 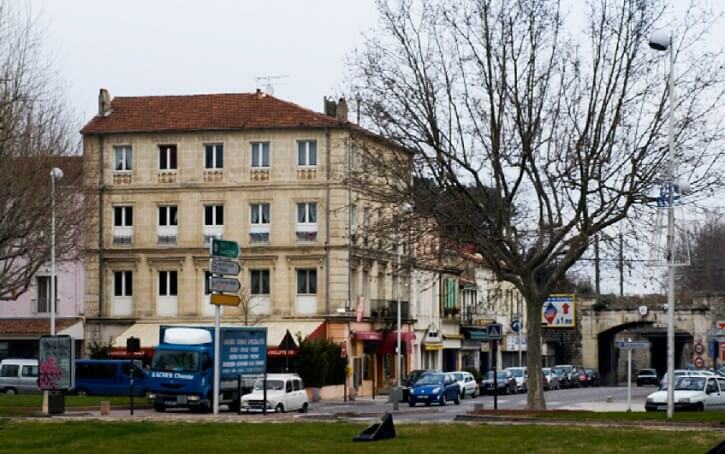 I got it for a rent of 15 francs a month." 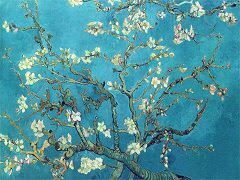 Van Gogh then went about furnishing it. He visited the used furniture dealers and haggled for beds, chairs, a table, mirrors and everything his household studio would need - all paid for by his brother Theo. You can see the result in his series of bedroom paintings. He even did "portraits" of two of the chairs he bought - one was specifically his chair, the other, Gauguin's. Having furnished the studio, he created paintings specifically to decorate it for Gauguin's arrival. Vincent thought strategically of what paintings he wanted in his studio to show Gauguin. 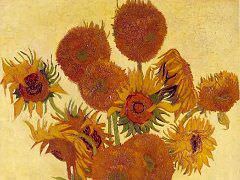 He chose a theme - Sunflowers - and set about painting them. 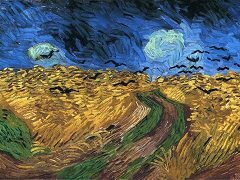 During the summer he'd painted harvest scenes of wheat fields, he'd been down to the Mediterranean and painted fishing boats and he'd painted many portraits, both of the people around him and some self-portraits. In all, in the course of about a year in Arles he produced approximately 300 paintings and drawings. 10 Facts that You Don't Know About "The Yellow House"
1. Van Gogh rented only a part of the house with green shutters in his "Yellow House" painting. His apartment consisted of studio space and a kitchen on the ground floor and two small bedrooms upstairs, one for himself and the other for his visiting friend, Paul Gauguin. 2. 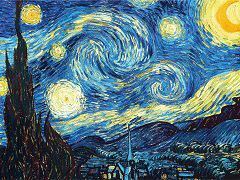 The two primary colors in the painting, yellow and blue, would become hallmarks of Van Gogh's work during the time he spent at Arles. 3. The juxtaposition of these colors makes each appear more vibrant, a phenomenon the artist would also explore in many of his other Arles artworks. 4. 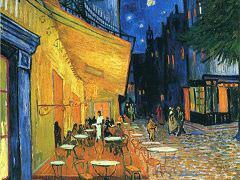 "The Yellow House" is an example of Van Gogh's yellow vision or possible xanthopsia, a medical condition affecting his eyesight. 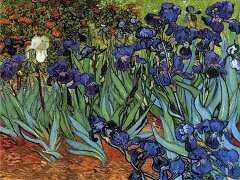 Many historians have speculated that the artist's xanthopsia was due either to an overdose of digitalis or an overindulgence in absinthe, Vincent's alcoholic beverage of choice. 5. The painting of the artist's quarters remained in the Van Gogh family until 1962 when it became part of the Van Gogh Foundation, which loaned it permanently to the Van Gogh Museum in Amsterdam. 6. "The Yellow House" is also known by the titles "The Street" and "The House and Its Environment." 7. 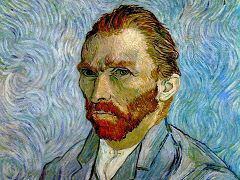 Vincent did a sketched study prior to starting the oil painting. He sent "The Yellow House" sketch to his brother Theo in autumn 1888 as a kind of virtual tour of the artist's new digs. 8. 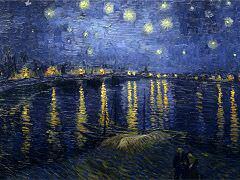 Van Gogh rendered the painting a second time in watercolors after completing the oil treatment of "The Yellow House". 9. The house itself was destroyed by bombing in World War II, but a commemorative plaque marks the spot of Van Gogh's erstwhile studio and living quarters on the Place Lamartine. 10. Artist Paul Signac, a friend of Vincent's, created a variation on "The Yellow House" theme in his 1932 watercolor, "The House of Van Gogh." Although it is more colorful and lively than the original, it retains the perspective and architectural features of the residence in Arles.